There are little things more delicious than hot chocolate! 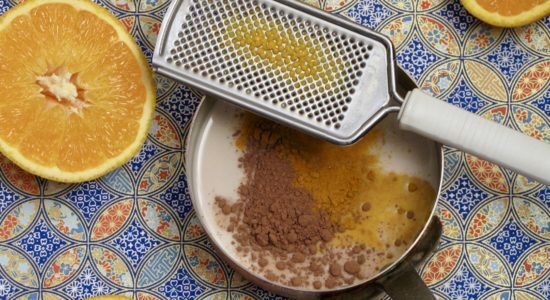 When unprocessed and not laden with artificial flavours, colours and sweetened chemically with too much sugar hot chocolate can be quite healthy. 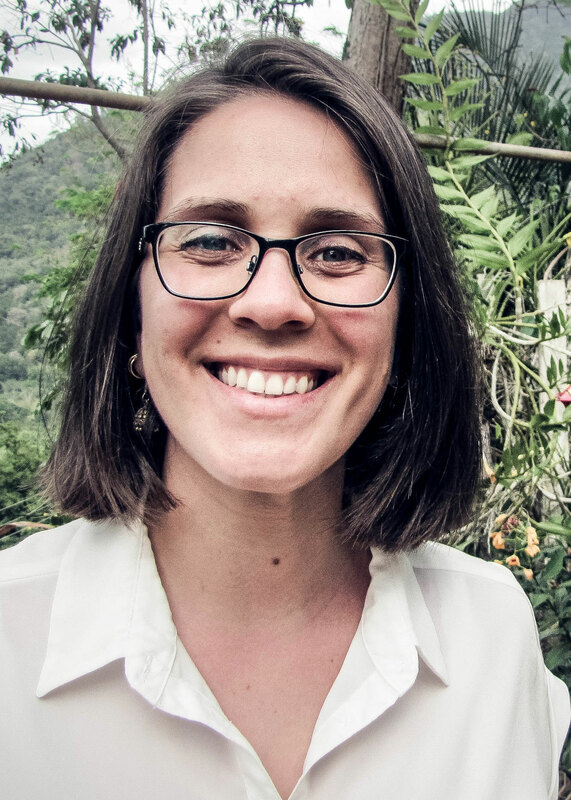 Cacao is a powerful antioxidant and rich in both vitamins and minerals. 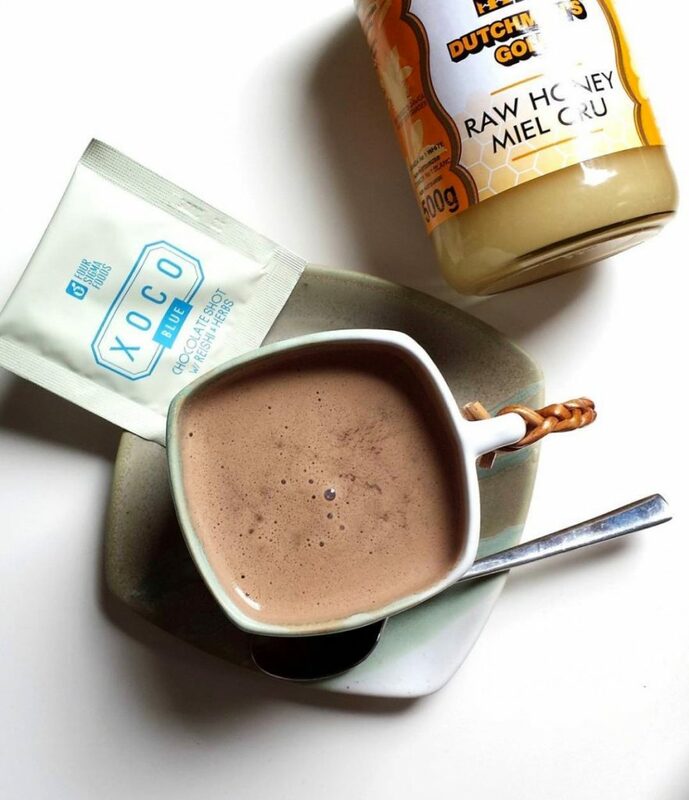 Drinking hot cacao is one of my favourite alternative to regular hot chocolate. It is only made better by the use of reishi mushrooms and honey! What is Reishi & What is it Good For? 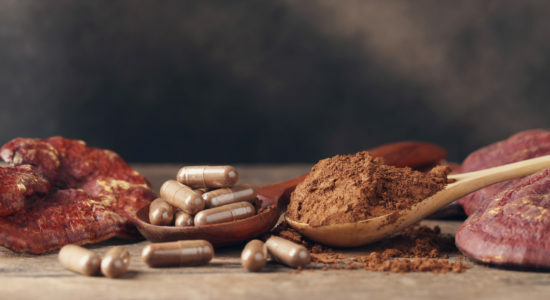 Reishi once a rare mushroom only consumed by royalty has risen recently to superfood glory, due to the fact that modern technology has improved reishi’s ability to be cultivated. For over 4000 years reishi has been utilized by both Chinese and Japanese traditional medicinal practises, were reishi was a symbol of both health and longevity. It is rich in protein, a source of unsaturated fatty acids, a high source of sulphur as well as being rich in plant secondary compounds such as alkaloids and steroids and is a high source of antioxidants. In the year 2730 BC Chinese emperor Shennong asserted that reishi was the most important and beneficial of plant species as it was able to fight diseases in the body without bringing about side effects. The diseases it was used to fight were hepatitis, arthritis, nephritis, insomnia, hypertension, asthma, fatigue, bronchitis and ulcers in the stomach. Reishi is an adaptogenic plant making it work incredibly well at helping the individual deal with stress. Stressors can come into one’s life through several different ways; personal issues, alcohol and drug abuse, work, school, bad eating habits, lack of rest, overtraining etc. When the body is not properly supported for dealing with stressors an imbalance begins to grow (for example an imbalance of the hormone cortisol as well as an increase in growth hormone, both of which can lead to drastic inflammation in the body, among other things). Reishi will aid in mitigating this, by assisting the liver and helping to keep it balanced so that it can detoxify the body properly and not feel so heavily burdened, making sure the lymphatic system is running smoothly, reducing oxidative stress and damage through its high antioxidant count as well as reducing the risk of developing diabetes and mitigating its effects in individuals who already have it. Adding reishi into your morning routine will make you feel a whole lot different. Perhaps not after the first day, but if you continue to take it every day you will notice a difference. 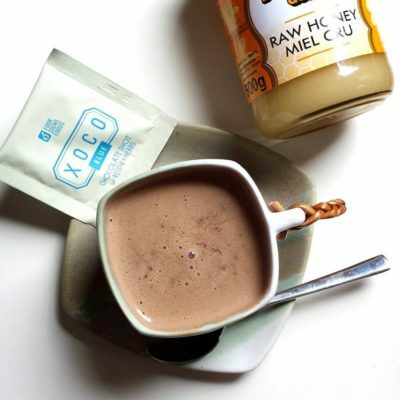 You may wish to take it as a pill or perhaps just throw a packet of Four Sigmatic Reishi Hot Cacao into a cup and have it as an energy booster in the morning. 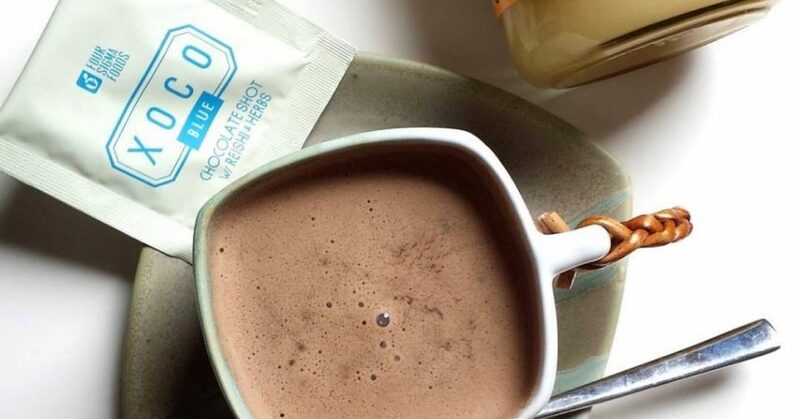 A warming cup of hot chocolate is perfect for any day, this one is especially delicious with the addition of reishi. Calming, relaxing and super chocolaty. Place all ingredients in a pot over medium heat and whisk until everything has been nicely incorporated. Keep on the stove top on medium heat until the Hot Cacao has come to a light simmer. Pour into your favourite cup and sit back and enjoy!! !